Can you tell us about the movie LASSO? LASSO is the story of Simon (Andrew Jacobs) and Kit (Lindsey Morgan), two young leaders of an Active Senior adventure tour group that take a day trip out to a small-town Rodeo located deep in the woods. While they are leaving, after a fun-filled day, they inadvertently witness something they wish they hadn’t. Suddenly they are targets for a deadly Rodeo Ritual. As they fight to stay alive through the night they team up with another group of potential victims, Ennis (Sean Patrick Flannery), the 1-armed cowboy, Trish the powerhouse female bull rider, and Rosheen the Rodeo Queen. Throughout the movie we have about 20 different types of kills so I think we have enough for everyone to get excited about! 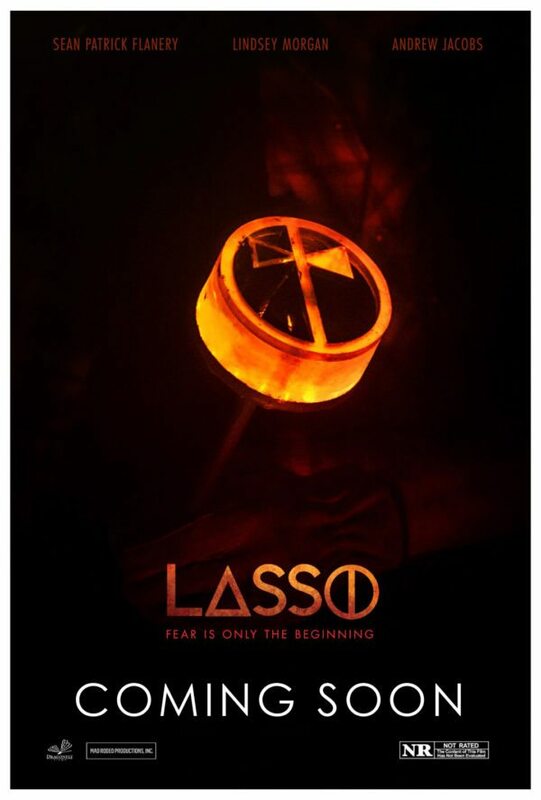 It has been stated that LASSO is a Texas Chain Saw Massacre meets Cocoon style horror movie. Can you explain? When executive producer Todd Myers and I first sat down to discuss making LASSO, we wanted to create an exciting, cinematic throwback to the more classic horror film, but at the same time wanted to be sure the film had brand new entertaining thrills, spills and kills to keep the audience screaming and cheering for more. One way that we wanted to do something different was including roles for older actors, and not in the typical “creepy old man” way that is most used in horror films. These senior characters are heroic and likable. We feel that from the get go ‘LASSO’ takes the viewer on an emotional and thrilling ride, and we needed to have the right ensemble cast to pull it off. What was it like working with some of the cast, especially the more notable actors? It was a total blast casting ‘LASSO’ because of how diverse the roles are. It was so fresh to be able to think as far outside the box as we possibly could, and it was seen as a good thing that would make the film stronger, rather than a big risk. I am extremely proud of the diversity represented in this film. One of the most established, and loved by all, actors on set was Karen Grassle who plays Lillian, one of the seniors. At first, I was at my most nervous around, after all she is “Ma” from The Little House on the Prairie. She was now in a movie that was the polar opposite – full of dark twists and turns – you know murder, torture and blood all around her. The nerves didn’t last long though, she was amazing, up all night over and over, screaming and running through the woods…she even accidentally got punched in the face during a take, not a small tap either, a real punch in the face. She had a horrid black eye the next day. I think when it happened, I was more shook up by it that she was! Another veteran actor in LASSO is the incomparable Sean Patrick Flanery, of The Boondock Saints fame. I loved his working style while on set. He was incredibly efficient, I bet it was because it was always all-nighters and he wanted to get his work done since he was exhausted, like all of us. He was always ready immediately. He never wanted, or needed, a rehearsal. He’d said, “Let’s just shoot the rehearsal” and we would roll camera. It was often freezing but he didn’t wear comfort jackets in between takes, so as to avoid the slight slowdown they cause getting in and out of them. His role was incredibly physical. His character has only one arm, but he quickly mastered the weird rig to stuff his actual arm behind his back or in front of his torso so he could get in and out of it lighting fast…very impressive…. not to mention he always gave a great performance. Lindsey Morgan, was amazing. I was extra excited about her because I am a fan of her because of her incredibly successful show The 100. Sometimes I have worked with actors that sort of close out others, for their craft, to get in into character while on set, and it can often unfairly come off cold or unfriendly. Lindsey was the complete opposite type of actor. It was immediately clear she wanted to actively create a mood of fun, collaboration, and respect on set. My final lead actor in the movie to mention is Andrew Jacob. 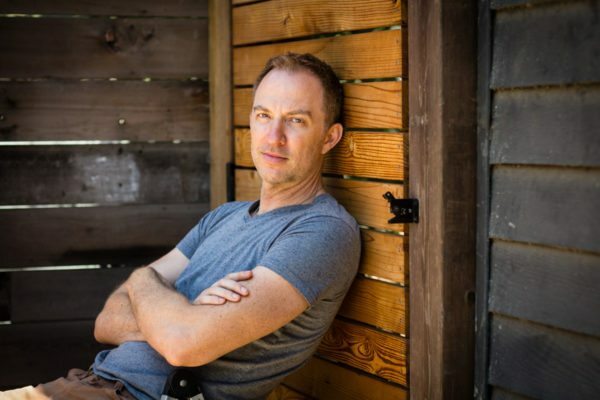 His role of Simon, on paper, was interpreted in a very different way for many readers of the script, but Andrew effortlessly understood the way I saw Simon, and brought tons to the character himself. As the shoot went on, I really felt like we started to share a brain the more we worked together. He was totally in tune with his character, the movie and my directing him. Andrew had the most days on set, so spent the most time around us all, which could have attributed to that sense of knowing. He had an amazingly mature balance of bringing his own thing to the character and at the same time having a strong concern for making sure I was getting what I needed. I am really excited to see what the future holds for Andrew. Were there any hiccups along the way? Most movies, and productions, experience challenges. Whether you are making an independent film or studio blockbuster. There is always something. Ours with ‘LASSO’, aside from Karen Grassle being accidentally punched, fell on the last day of filming, which happened to be Friday 13th. Various dramatics took place that day. On the way home from set, in the very early morning of that Friday, Luke the DP crashed his car into Elaine the Producer’s car…everyone was fine, but Elaine’s car totaled and, Luke’s car nearly totaled. Then on set that night, which was a new location as we lost the original we were supposed to have the day before, a truck backed up into the sound guys van and smashed out his window. We had the big Rosheen horse stunt scheduled to film, and it was not happening. The horse spooked, broke away and galloped off crashing by video village nearly running over a couple crew members. The crazy thing was, once midnight came and it turned to Saturday the 14th, everything shifted and got back on track. So bizarre. The film is incredible. It is jam-packed with stunts, animals, grueling hours, tight schedules and budgets. A big part of why there weren’t more dooming hiccups was because the writer Roberto Marinas delivered and amazing script. People often rush to shoot without taking the time to get the script super tight, and then of course on the back-end our editor, Christa Collins, did a stellar job of making it look like shooting this film was a breeze! Finally, what would you hope that audience members take away from LASSO, and indeed your work in general? For me, the most important thing I wanted from LASSO was the audience to enjoy watching it, to have a fun, but unexpected ride. To be honest, horror fans intimidate me somewhat because they can be so smart, committed and knowledgeable about what they love. I’d like to add a BIG thanks to producers Todd Myers and Elaine Gibson for wanting to make an R-Rated horror film. Of course, I’d love everyone to go crazy for LASSO, but for me, the biggest satisfaction would be for the horror fans to embrace the film. Evan Cecil, thank you very much!